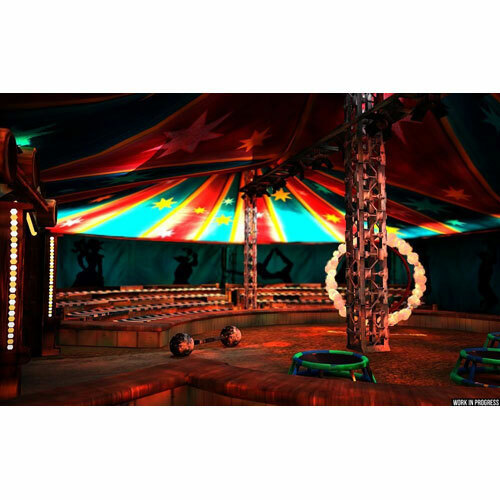 Ever wanted to run away from it all to join the circus? If you've ever wanted to put on a ringmaster coat, wear one of those ridiculous yet fashionable top hats and prepare to hand in your notice of resignation to whatever job you have, you can now experience the thrill of running your own traveling circus. 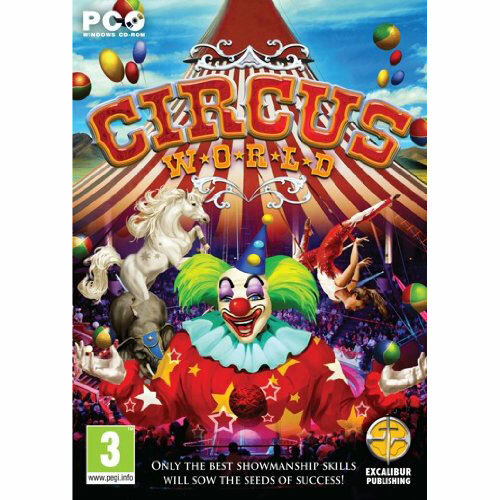 Circus World from Excalibur Publishing is here to fulfill your desire to run a magnificent circus in a virtual management simulation title. As Excalibur’s first in-house developed video game, no expense has been spared to replicate the career of a circus manager. Dozens of features have been added including the ability to hire performers, purchase sideshows, and experience the dread of taking out an expensive bank loan. •	Over 30 different acts including jugglers, knife throwers, human cannonballs, and trained animals are available to build your circus act. Hire superb performers, and fire the rubbish ones--good performers gain experience for successful shows. Purchase additional sideshows to roll in the money. •	Adjust the prices of tickets, food, and merchandise to attract customers and ensure a profitable show. Customizable food and gift stands allow you to set the prices of items purchased by visitors. Make sure you stock enough merchandise and snacks, maintain and repair sideshows, and advertise your circus to bring in more customers. Low on cash? Experience the pressure of taking out a bank loan to keep your circus running. 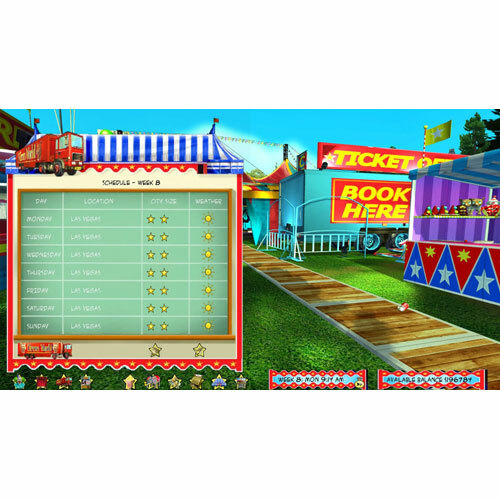 •	Circus World lets you wander around your circus and even enjoy the performances yourself. Watch shows from the ringside in free roam mode or get in close with the action cam. •	Take your circus around the world, visiting the UK, France, Italy, Spain, America, Australia, and Scandinavia. But be sure to check the weather conditions and choose your next location wisely.